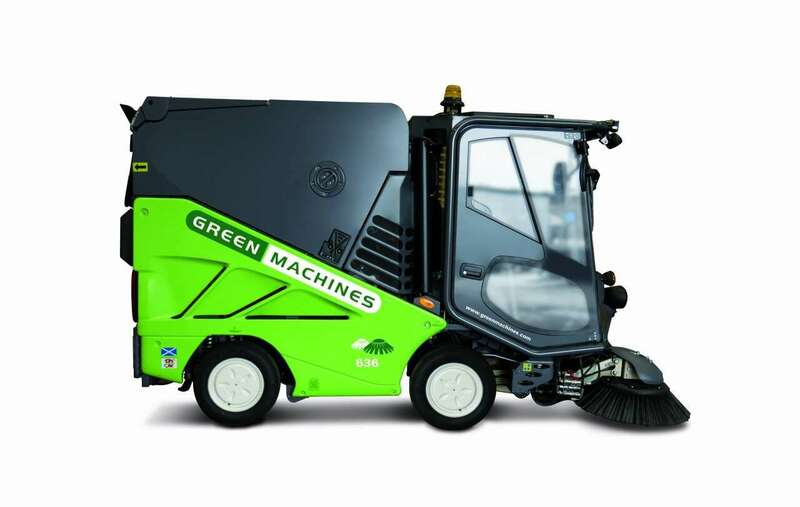 Dirt doesnt stand a chance with the CMAR Green Machines 636 compact sweeper. Whether in a busy city centre, in a car park or any other open air zone requiring professional cleaning, the GM6 leaves nothing behind apart from positive opinions. Thanks to its significant reduction in water consumption and its innovating design details, its reduced maintenance and labour costs. Sweeper safety is improved by its panoramic view. Its use is made easier and troubleshooting simplified by built-in system monitoring. The vehicle management is innovating. The on-board monitoring, detection and troubleshooting systems make it easy to use and simplify troubleshooting. Quality equipment. 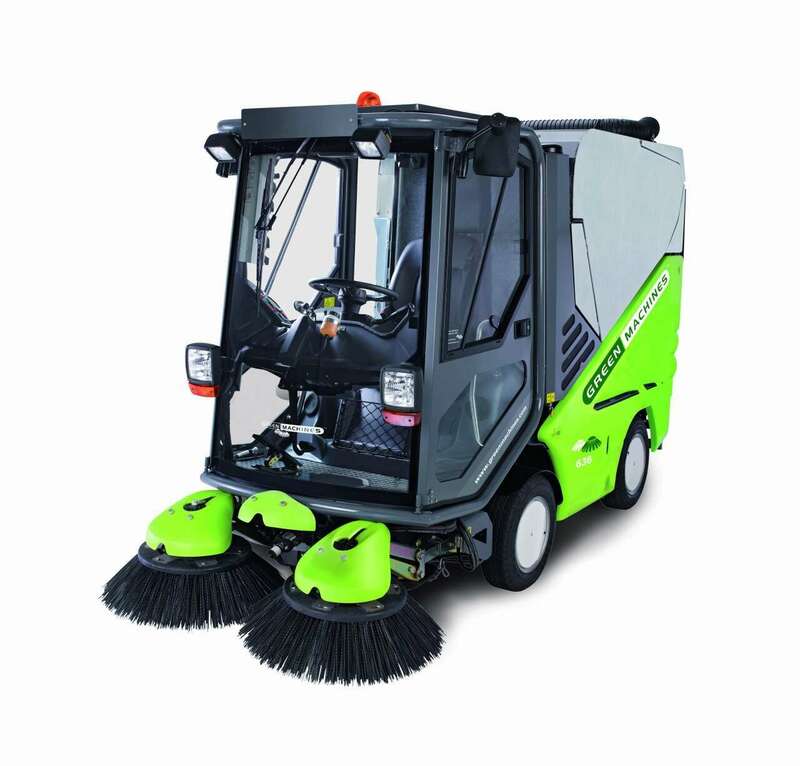 The sweeper contains flat stainless steel filters in the air flow to give improved equipment service life. It has specific plates with side openings that produce a cyclone that releases dust and debris to the bottom of the air flow. It is comfortable to drive and the safety similar to a car thanks to its four wheel drive and independent suspension. Safety is guaranteed at high speeds (up to 40 km/h) by the stability provided by the Vari-Track® extendible front axle. The compact sweeper has two independently operated brushes for effective sweeping, even around obstacles. Each brush pressure can be controlled separately from the cabin to perfectly adapt to the quality of the surface to be cleaned. Sweeping performance is improved by a stainless steel 1.5m³ container. Step 1: Specific cyclone plates with side openings. Technical data may be modified without notice. First impressions are essential, both for human encounters and when exploring a town or city. Clean parks, streets and pavements not only guarantee a citys good public image for its visitors and inhabitants. They are also a sign of the perfection and accuracy of its administration. It also encourages citizens to respect the appearance of public spaces. In the cleaning sector, the smallest details are just as important as the largest, in particular because they are assessed by a critical audience. In this context, profitability criteria are as essential as those for environmental compatibility. 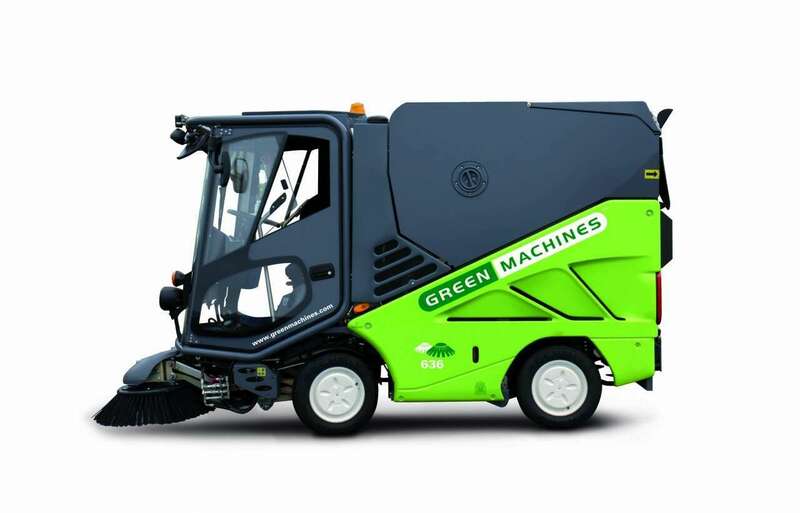 The objective of our CMAR Green Machines is to make a decisive contribution to clean towns and cities by offering effective and sophisticated sweepers. The electric command, carbon emission-free models represent the most recent technology available through this engineering work. They not only meet urban centre sustainability objectives, but are also especially attractive in terms of cost. We have also succeeded in improving the performances of the conventional motorisations of our fleet using a multitude of smart details. For towns and cities, for their inhabitants, for the environment and all those who take care of it day after day. Welcome to CMAR Green Machines !